A new exhibition with photographs of Paris based artist Nicolas Wilmouth, entitled Barocco, has been opened on Saturday 2 May, 4 pm. On show until 12 June. 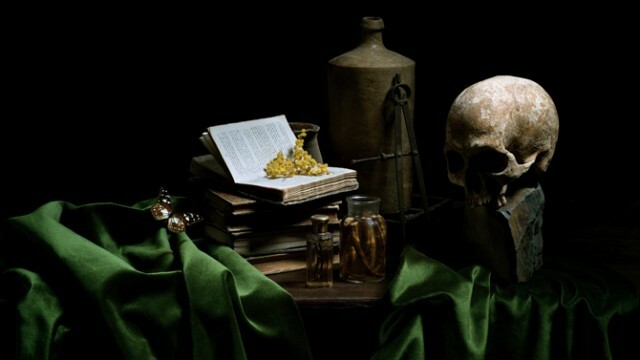 Still lives have been the subject of the photographs of Nicolas Wilmouth for the last couple of years. 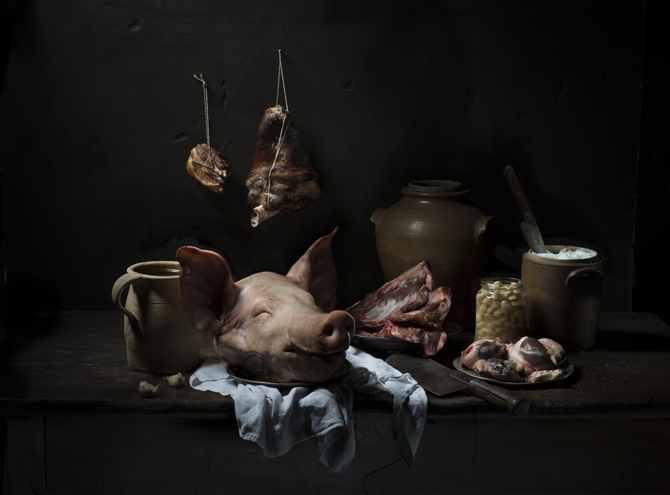 In 2012 he started his series with still lives reminiscent of 17th century paintings, yet with a modern twist to show that the image was made today and not in in the 17th century. His photographs are also a bit more modest and minimalistic than their painted predecessors with exuberant displays of fruit, porcelain and animals , showing off the painter’s skills. In his current work Wilmouth does not refer in an obvious way to the still lives in old paintings, his images are striking compositions by themselves. Just a small display of objects on a pitch black background, photographed in such a way the objects seem to be blown into life by the light of the lamps. From “still” to “life”.. These photographs show a high quality of detail and perfection, which is needed to perceive the hidden meaning of the image. Photographing food is subject to many clichés. Food has to look attractive and appetizing when used in advertisements. Less attractive food that is decayed or semi rotten, will never be used in images for it looks repulsive and will scare off the viewers. The same goes for raw meat, pealed fruit or skinned fish, not objects to put on display in an image that is supposed to allure the audience. Instead we are tempted by images of good looking products, creating a hungry feeling. Images of food made to seduce us to consume more. Wilmouth plays with this concept and adds his own aesthetics and beauty to his compositions. We are not supposed to be tempted to eat the objects in his photographs, we are simply seduced to let our eyes wander around the both realistic and mysterious scene.